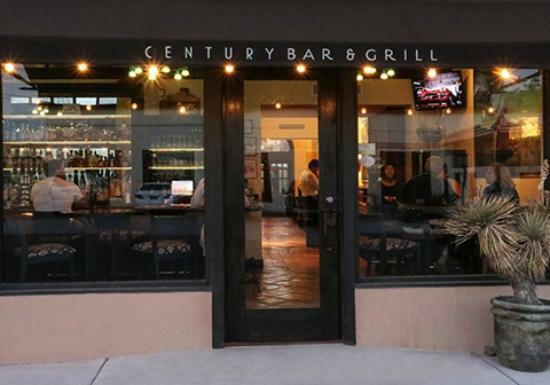 The Century Bar & Grill: contemporary cuisine steeped in history. In the heart of downtown Alpine, Texas, the historic Holland Hotel has greeted visitors on the Sunset Limited rail line since 1928. At the time, trains sporting radical new “streamlined” designs were firing the imaginations of travelers, while among the first Holland guests were ranchers whose family names resonate through the history of the West. Right off the lobby of this famous ranch and rail hotel designed by Henry Trost, the Century Bar & Grill offers a distinctive menu infused with tradition as well as the forward motion of the modern age. We have crafted the Century dining experience with a variety of flavors: relax in the comfortable and classic Rio Grande Room, indulge a New York mood at our Chef’s Tables with a view on the open kitchen, or savor outdoor dining in the Hotel courtyard under West Texas skies in a delightful high-desert climate. The beautifully designed bar, airy yet intimate, serves superb locally brewed beer from Big Bend Brewery as well as unique cocktails. A favorite of locals, The Century Bar & Grill guarantees anyone visiting the Big Bend a friendly Texas welcome with casual elegance, great food, and good drinks. Enjoy a luxury cocktail, or indulge in one our decadent menu items. Click here to make your reservation now!